While there is certainly much to see in Paris itself there are a number of wonderful daytrips that you can take if you need a break from the hustle and bustle of the City of Lights. We decided to take a day trip out to the small village of Giverny to see the home and gardens of French impressionist painter Claude Monet. 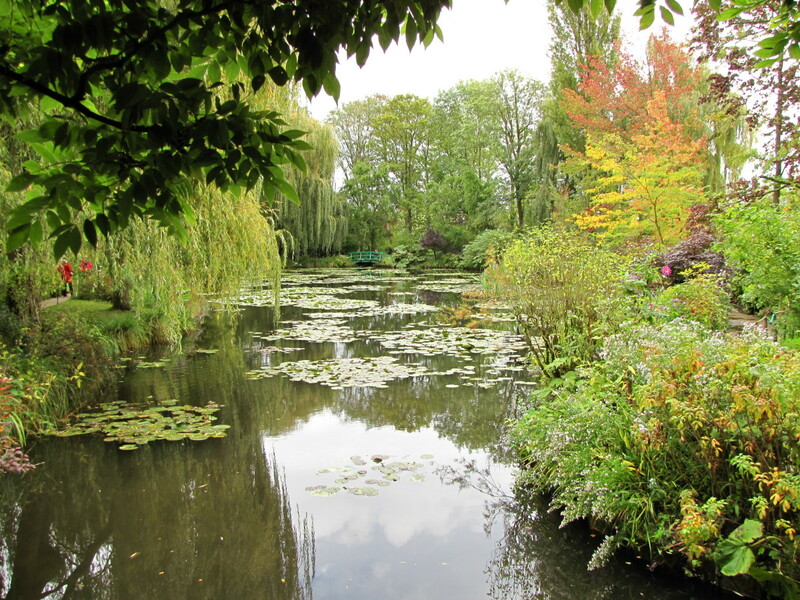 Giverny is located just fifty miles to the west of Paris and is actually a very easy day trip that you can do on your own without paying big bucks for a tour. For our journey we chose to take the train from the Gare Saint Lazare station in Paris to Vernon, which is the closest train station to Giverny. 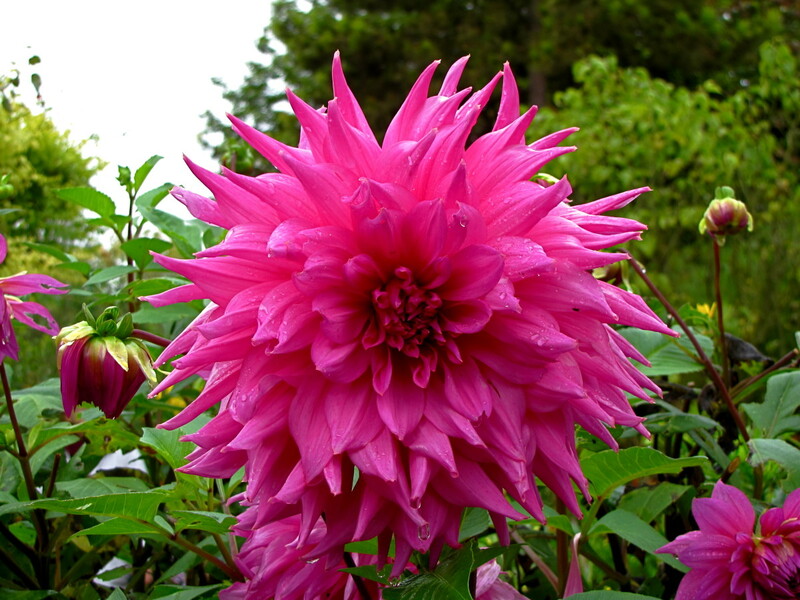 Giverny is located about 5 kilometers from Vernon and is an easy fifteen minute bus ride away. Our day started with a short walk from our Paris accommodations at the New Orient Hotel to the train station. There is an early train that leaves for Vernon at 8:20am but we decided on the 10:20am departure as there was rain in the morning with clearing expected in the afternoon. The trip takes approximately 50 minutes and is quite painless. We did not purchase advance tickets but simply walked up to the ticket booth and purchased a roundtrip ticket. If you have visited Paris but not yet ventured outside of the city this is a good opportunity and a great way to see the French countryside. The trains in France are comfortable and very punctual. We quickly found our train car and seats and were on our way to see the home and gardens of Claude Monet. Monet actually painted the Gare Saint-Lazare train station on a few occasions. One of these paintings hangs in the Musee d’Orsay in Paris while another is in the Art Institute of Chicago. 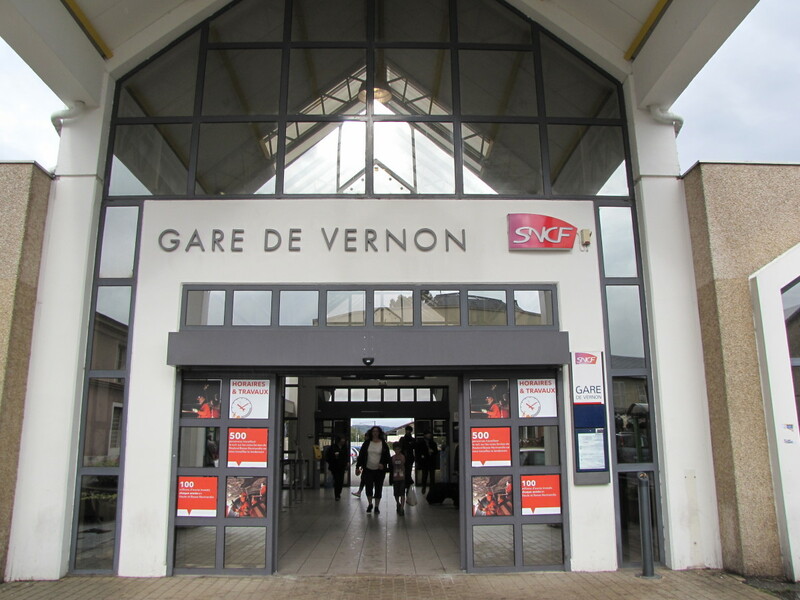 Upon arriving in Vernon you will have a few choices in getting from the train station to Giverny. 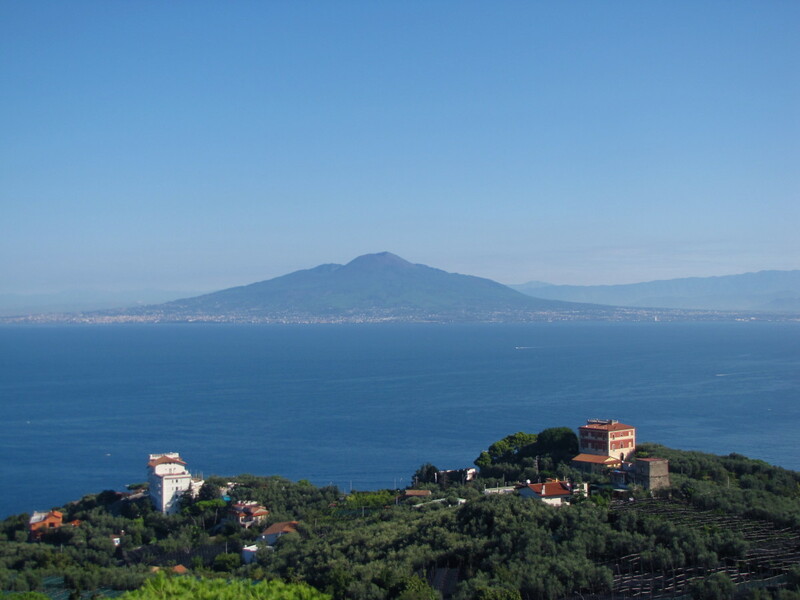 You can take a taxi, the shuttle bus, walk, or you can rent a bicycle and pedal the five kilometers. A taxi will run you around 15 euros and the shuttle bus is 8 euro for a round trip ticket, which is a pretty good deal. The walk or bike ride, while tempting would take too long so we opted for the shuttle bus. They do a great job in timing the shuttle bus departures to about 15 minutes after the trains arrive so this helped to make the transition very easy and stress free. We hopped off the train, walked out front of the station, and hopped onto the waiting bus. Fifteen minutes later we were walking the ancient streets of Giverny on our way to Monet’s home and garden. For those of you who are not familiar with Giverny it is a very small and quaint village located in the province of Normandy. 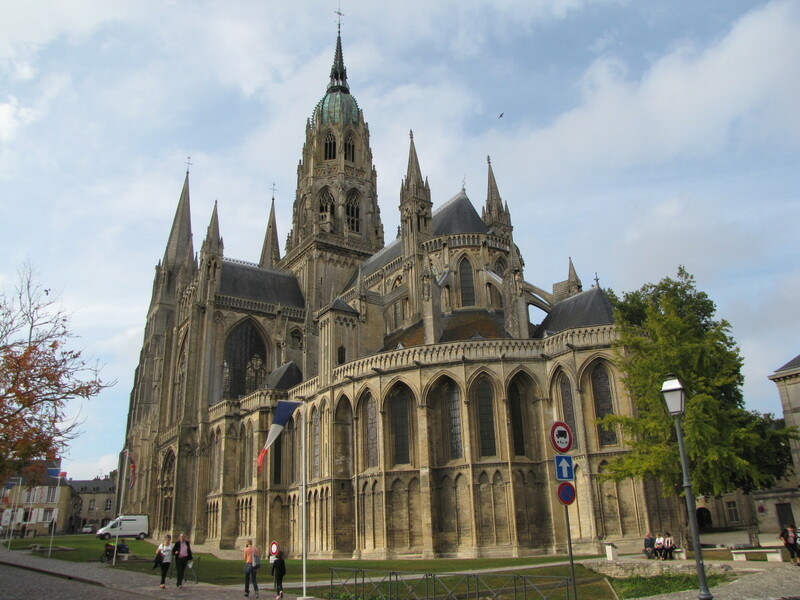 It dates back to the 1st century AD and with a population of just 500 residents it really has not changed much since the days when Monet first moved here in 1883. The village church dates back to the middle-ages and the newest building here may just be the Museum of Impressionism, which opened in 1992 as the Museum of American Art and was later renamed. But, make no mistake about it the main attraction here is the home and gardens of Claude Monet and you don’t need to be an art major to appreciate what Monet created here. Once you enter the Monet Compound you are free to explore the grounds at your leisure and this includes the extensive gardens, lilly pond and the house. 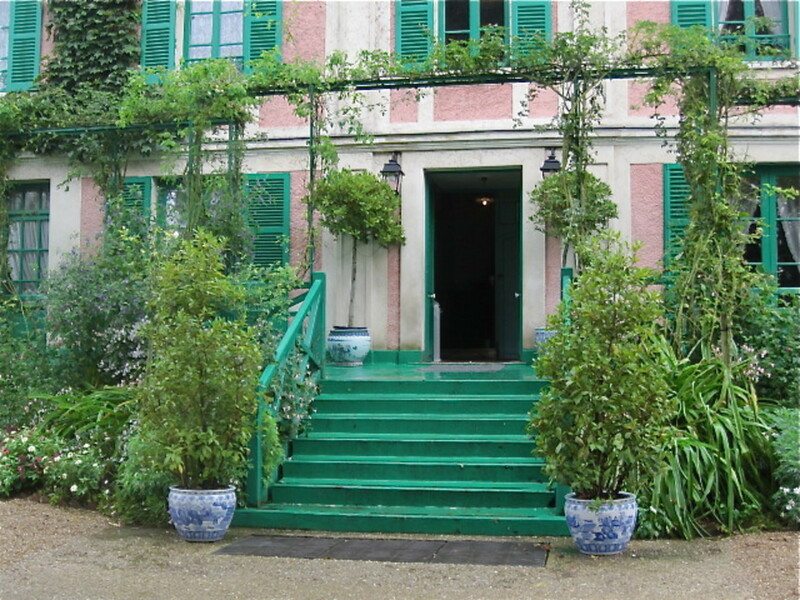 Monet lived here in Giverny in this house for a significant portion of his life, from 1883 until his death in 1926. 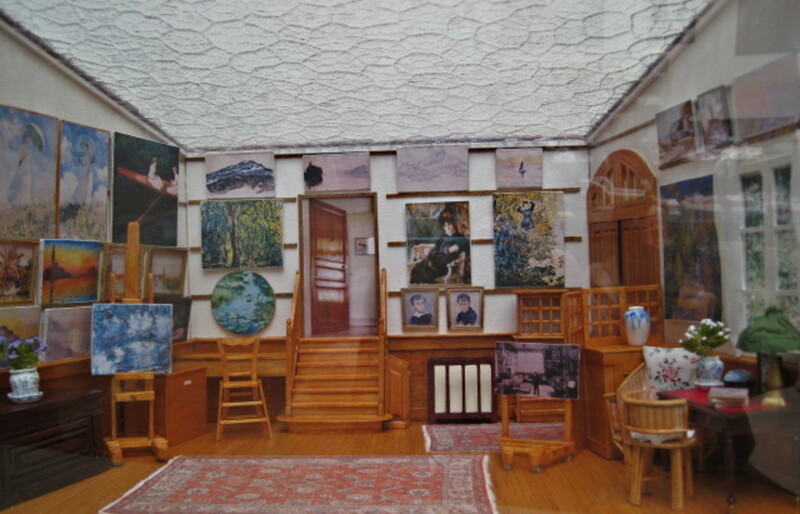 Initially the house was much smaller than what you see today and Monet extended it on both sides with two new wings to accommodate his large family and his need for space in which to paint. Monet lived here with his second wife, Alice Hoschede, and his two children from his marriage to first wife Camille along with Alice’s six children. It certainly must have been a very busy place with eight kids running around while Monet went about his work creating masterpieces and tending to his gardens. Monet’s first wife Camille died of uterine cancer at the age of just 32. You can take a self-guided tour of the home and gardens although guided tours are available, by appointment only. We opted to guide ourselves and there are curators inside the house to answer any questions, which was helpful and informative. The property opened to the public in 1980 after an extensive renovation to both the house and gardens to restore them to their former glory. The first thing you will notice about the home is that it is very long and narrow and also very pink (Monet’s choice). The bedrooms are located upstairs while the first floor contains the sitting room, pantry, dining room, kitchen and Monet’s studio. The studio contains a number of replicas of Monet’s work and the original furnishings in the house give it an authentic feel so visitors can experience the home just as Monet did over one hundred years ago. Probably the most impressive rooms in the house other than Monet’s studio are the dining room and the kitchen. The dining room is very large, which had to be in order to accommodate Monet’s family of ten and the bright yellow walls with blue dishes will remind visitors of the gardens just outside. Just off of the dining room is the very blue kitchen, which was done by design by Monet to compliment the yellow of the dining room. The kitchen itself is a work of art with its large wood fired stove, blue tiled walls and shiny hanging copper pots and pans. 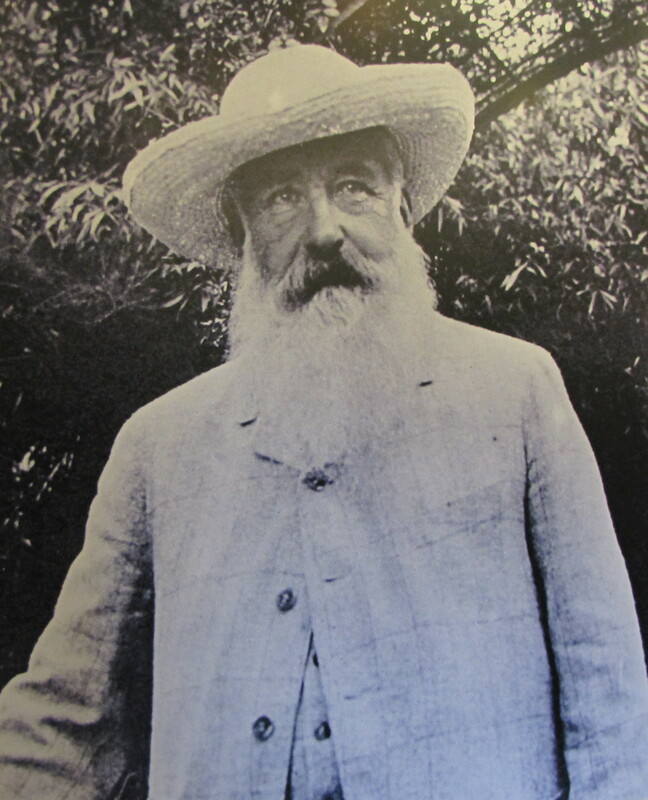 Monet actually rented his home in Giverny in 1883 and purchased the property in 1890. While touring the home be advised that no photos are allowed inside the house. 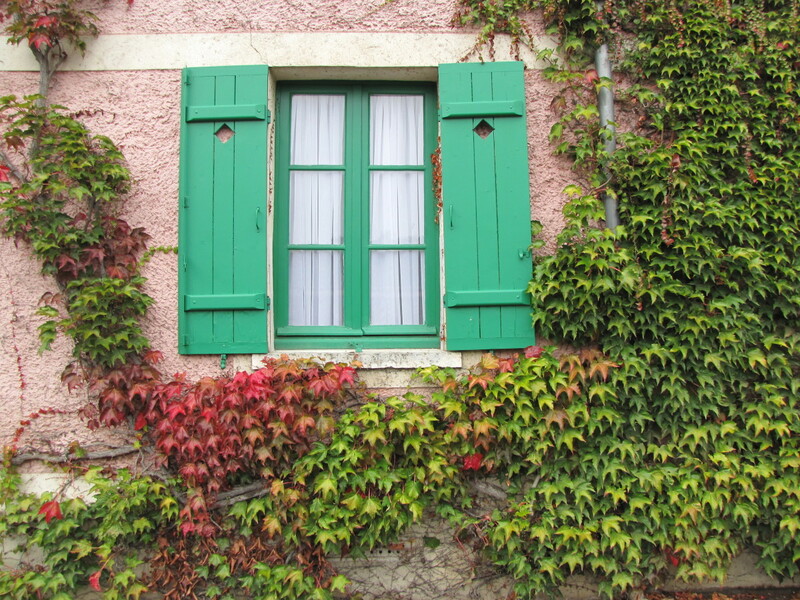 The only place where photos are allowed is out the windows in Monet’s bedroom, which overlooks his beautiful gardens. Otherwise they are strictly prohibited. Although I am no expert on Claude Monet and his works I think it’s a fair assumption to say that many of his greatest works were inspired by the gardens that he created here in Giverny. If there is any doubt in your mind about whether a trip out to Giverny is worth your time let me tell you unequivocally that the answer is yes. The gardens are an incredible explosion of color that carpets the landscape in a multicolored display of pansy’s, daffodils, irises, marigolds, hydrangea, and countless other beautiful species. Words and pictures can do no justice to the gardens. As you make your way around the grounds be aware that there are actually two sections to Monet’s Garden. The area just in front of the house is known as the Clos Normand and contains most of the flowering plants along with ornamental trees and climbing roses. There are designated pathways that will take you through and around the gardens and the central alley is identified with iron arches that span a path of blooming nasturtiums in the late summer. The iron arches are adorned with climbing roses and this main alley extends from just in front of the house all the way to the back of the garden. To get to the second section of the garden you have to follow the path that takes you under the road to the Water Garden. 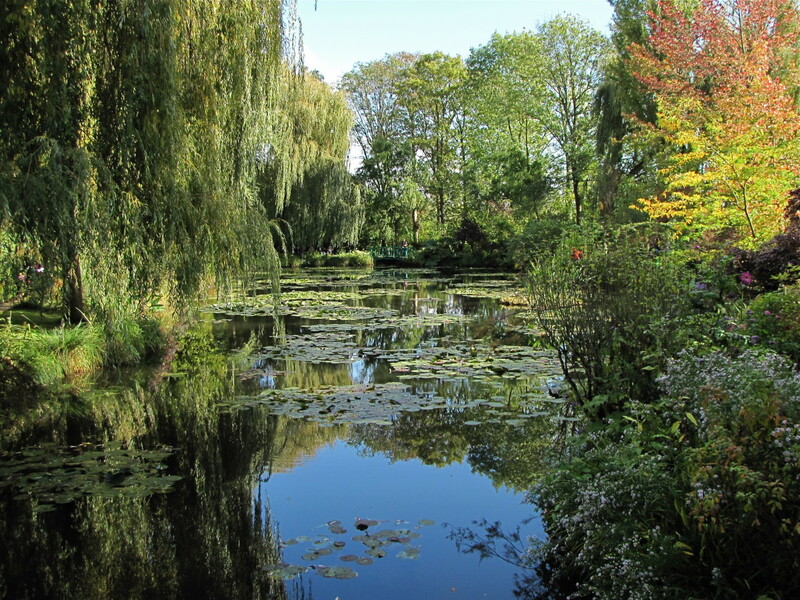 Monet purchased this land ten years after arriving in Giverny and he turned the small brook that was there at the time into a small pond, which would be expanded over the years to its present form. This area of Monet’s garden is much different than the Clos Normand. You will immediately notice the Japanese Garden theme here and this was something that was of particular interest to Monet. You can see this influence even inside his home with numerous Japanese prints hanging on the walls, especially in the dining room. The Water Garden certainly was the inspiration for many of Monet’s greatest works and the Japanese Bridge and the famous rowboat are still here. The Water Garden has towering weeping willows, wisteria covered bridges, the famous nympheas (water lilies) and a bamboo grove that were all planted by Monet. It really can be said that Monet created some of his masterpieces twice, once through the cultivation of his garden and then again on canvas. As I looked at some of Monet’s works after visiting the gardens it is clear that he shaped his gardens so that he could paint them. His two passions in life provided a perfect balance and harmony that went hand in hand with each other. For a great lunch spot check out Les Nympheas, which is located just across from the entrance to Monet's house. 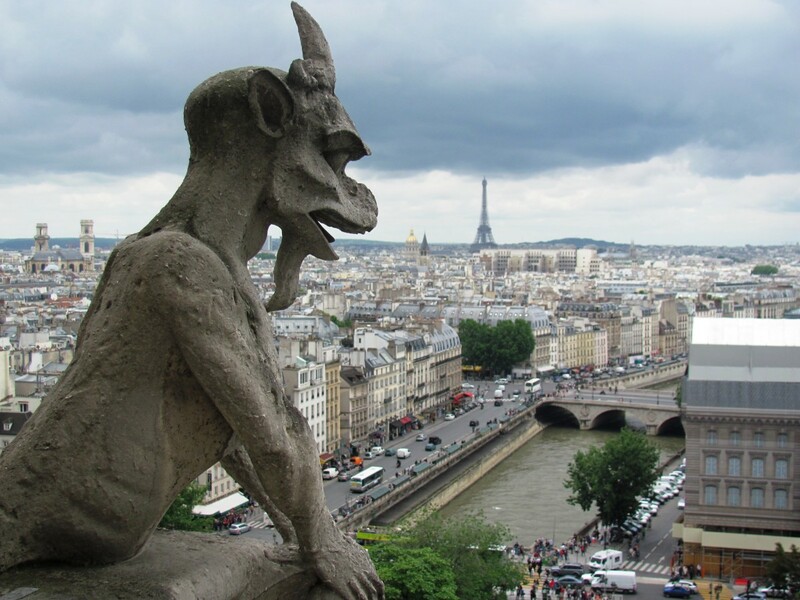 They offer a great selection of half day and full day tours from Paris to make your visit worry free. 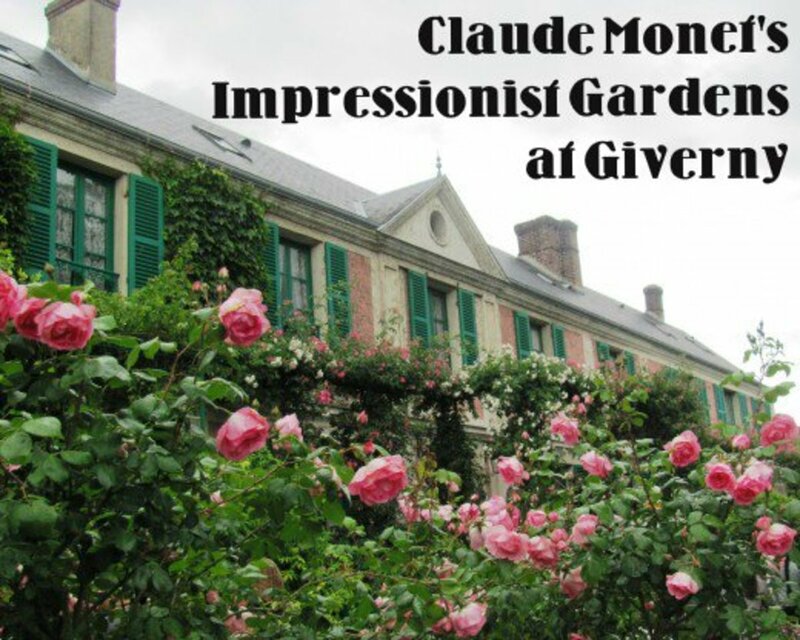 To check out their Giverny/Monet tours please visit the link here. I wasn’t really sure what to expect of our visit to Giverny but I definitely came away with a profound appreciation and respect for Mr. Claude Monet. The fact that visitors can come here and tour the grounds is certainly a fitting legacy of Monet and we can thank his son, Michel Monet, who donated the property to the Académie des Beaux-Arts in 1966. After a ten year restoration the museum opened to the public in 1980 and approximately 500,000 visitors come here every year. 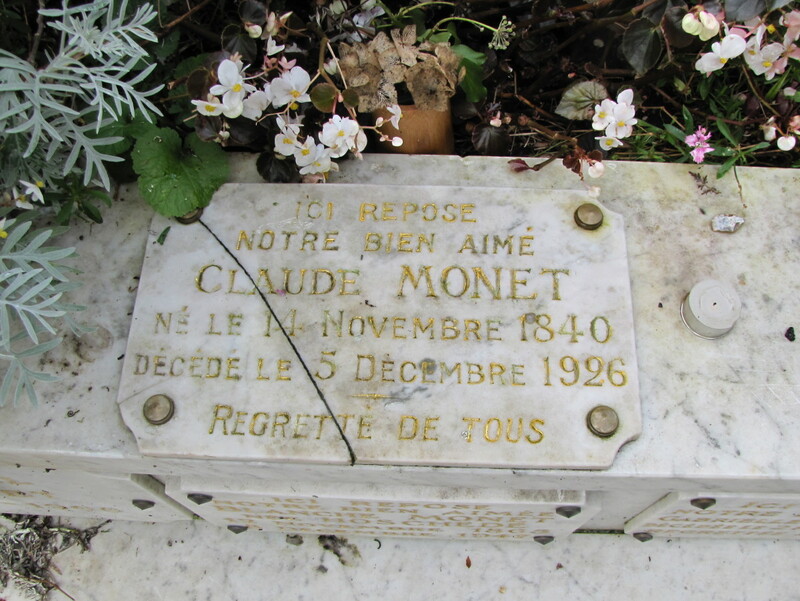 After touring the house and garden you can also visit the grave of Monet, which is located in the village church cemetery. It’s just a ten minute walk from Monet’s home and you will pass the Impressionism Museum along the way. If you are looking for an easy daytrip to escape the hustle and bustle of Paris consider a visit to Monet’s home and gardens. The trip by train is under an hour and you can be back in Paris by mid-afternoon. We thoroughly enjoyed our day and I think you will too. 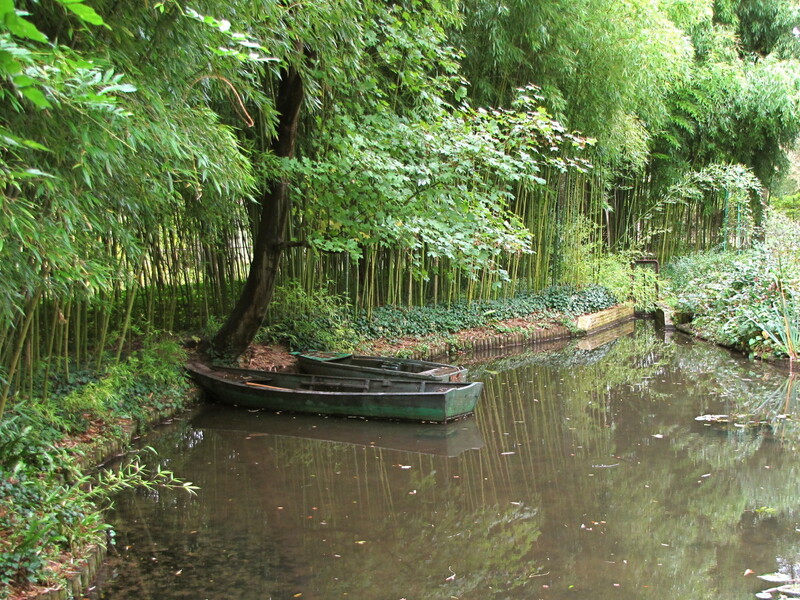 What else would you combine with Giverny to make a full day tour in Paris? There is the Museum of Impressionism, which is located right up the street from Monet’s Home. We also visited the Church of Giverny where Monet was married and where he and his family are buried. I suppose between visiting his home and gardens, the museum, and the church you could make a day of it. The gardens are quite extensive, and you can easily spend hours roaming through them. The train from Paris actually takes you to Vernon so I suppose you could spend some time there also. What is the best time of year to visit Monet's home? Spring and fall are considered the best time of the year to visit, but there are plenty of flowers blooming even during the summer months. The gardens are designed to be full of color and blooming from spring through fall before closing for the winter. When to visit will depend on your tolerance for crowds and your particular floral preferences. Do you have any idea if would it be easy to take a train to Versailles from Paris? Absolutely! Versailles is just 13 miles outside of Paris and can easily be reached by train. You will want to take the RER C train, and the trip will take about 45 minutes. The walk from the train station in Versailles to the palace should take 10 to 15 minutes. We did not do the guided tour so I can't say whether it was worth the cost but I suspect it will be time well spent. Have a great trip. 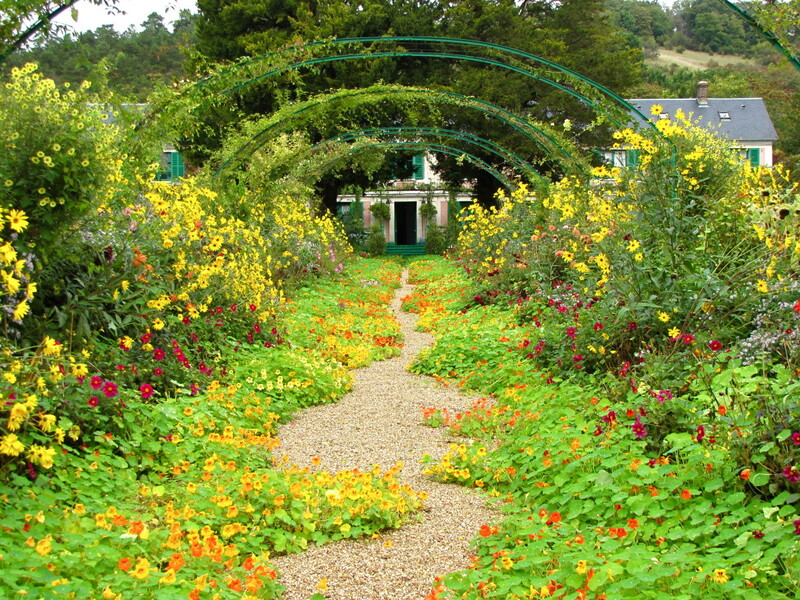 I will be visiting Giverny in a few weeks and was wondering about the guided tours you say are by appointment only. How does one go about booking the tour? You are very welcome Sonia. Glad I could help. It's an amazing place and definitely worth the effort to visit. Have a great day. Hi jgcsing. Thank you, glad I could help and glad you had a great visit to Giverny. Visiting Monet's home and gardens was certainly a highlight of our trip to France also. I can certainly understand the trepidation of making a trip like this with a group of 14 while visiting a foreign country. But after doing it and thinking to myself, gee, that was pretty easy and painless, I thought it would be great to share it with others considering making the trek. I must say that what Monet created in Giverny is absolutely stunning and definitely worth the effort to see. Thanks again, have a great day. Thank you so much for all of the detailed information about Monet's Gardens. My family and I ( all 14 of us) followed your advise to a T. We traveled by train from Gare Saint Lazare and once in Vernon, rented bikes and rode the 5K to Giverny. We even packed a lunch complete with baguettes, cheese. meat and vino. 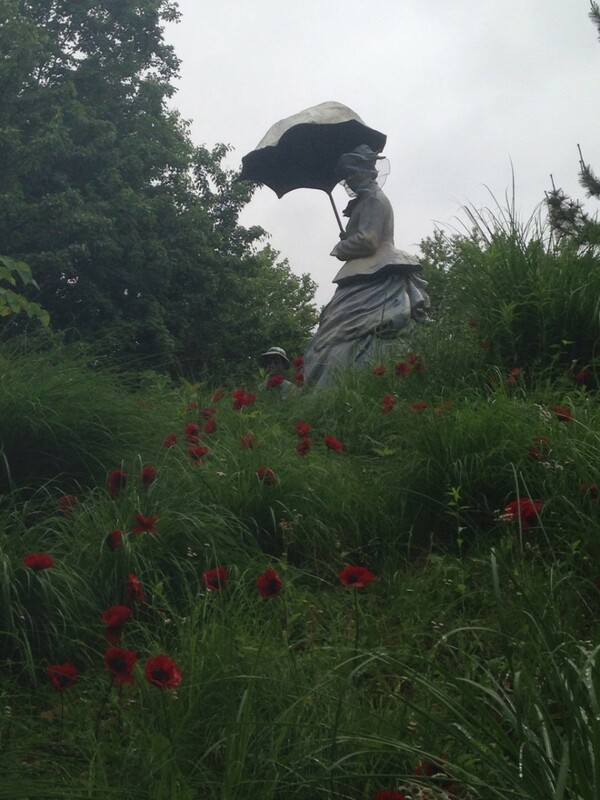 Our visit to Monet's Gardens, thanks to your guidance, was the absolute highlight of our trip to Paris. I never would have had the courage to organize something like this for my family without all of the fabulous details you offered. Thank you so very much! Hi Linda. Thank you, glad you enjoyed the tour. We really enjoyed our visit to Giverny. It really is a beautiful place. Have a wonderful day. Hi Elsie. Thank you. That's the reason we love to travel. There are so many great destinations out there waiting to be seen. Thanks and have a great day. Thank you Sara. I hope you get there someday, soon. Have a great day. Congratulations on your HOTD Bill. 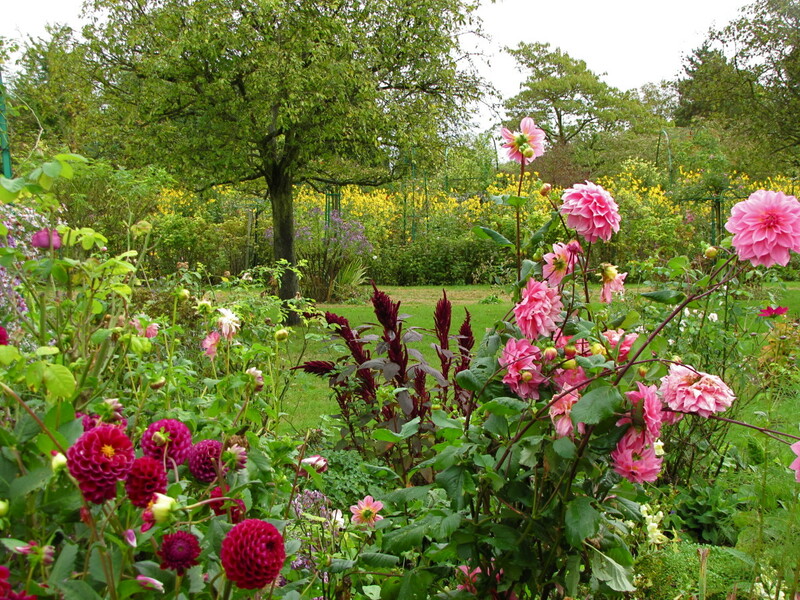 This is a beautiful hub about Monet's Home and gardens. Thank you for the tour. I enjoyed reading this hub, great photos and well done. I'm back to say congratulations on HOTD! Well deserved! Congratulations for HOTD. What a beautiful place to visit, your photos were very special to the viewer. I love seeing the beauty of other parts of the world and you sure have showcased this one. What a lovely visit! Thanks for the tour and congratulations on Hub of the Day honors! So beautiful! I hope I get a chance to visit some day. Thank you RTalloni. I was certainly surprised to logon this morning and see the HOTD. Definitely a pleasant surprise. Glad you the enjoyed the tour of Giverny and Monet's beautiful home and gardens. Have a great weekend. Hi Donna. Thank you. Our day started out with a little rain in the morning, which is why we took the later train. But it cleared in the afternoon while we were there and wound up being a beautiful day. If you go to Paris add this to your list. Have awonderful weekend. Thank you Chantelle. We really enjoyed our visit. Next time you go add this to your list, it really is easy to get to and worth the effort. Thanks again and have a great weekend. 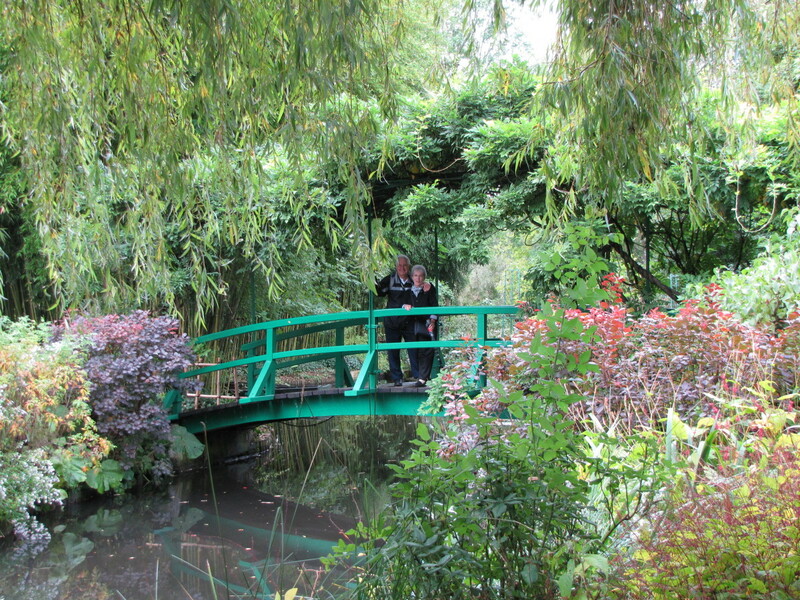 Congrats on your Hub of the Day award for this vicarious visit to Monet's Home and Gardens. Thanks for sharing your visit with us, including the really beautiful photos. Wonderful hub! I've always wanted to visit Monet's house, and your hub has only increased my interest. Thanks for including so much information about visiting and all your lovely photos. It looks like you visited on a beautiful day. Congrats on your HOTD! Congratulations on HOTD! Another wonderful article. We have been to Paris but didn't get a chance to see Giverny. Maybe next time. Is this something you'd tell people not too miss on their first visit? Thanks Kristen. We really enjoyed Giverny and Monet's Home and Gardens. It really was like a walk back in time. It's easy to see where Monet got a lot of his inspiration. Thanks again, have a great weekend. Bill, congrats on HOTD once again. 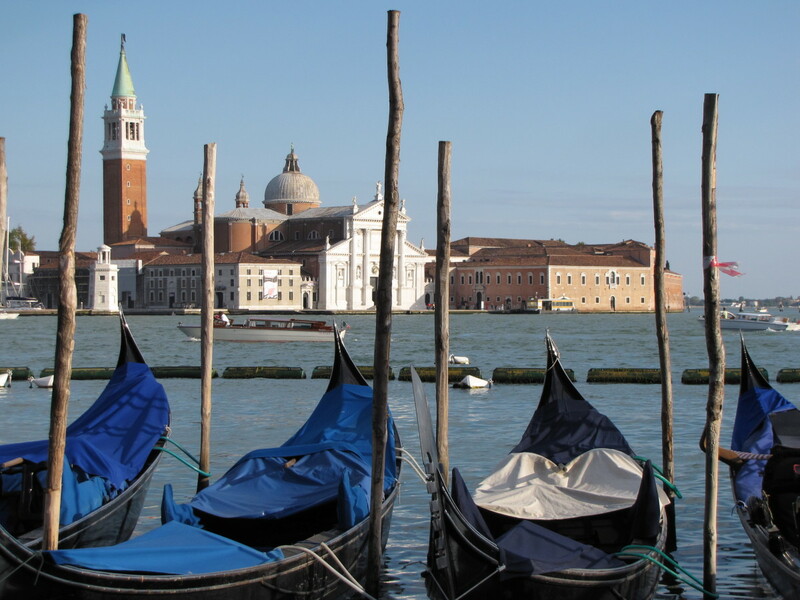 This was a beautiful travelogue with excellent photos and highlights from your tour. Well done! Hi John. Thank you. We were so glad that we decided to make the trip to Giverny. Definitely worth the time and effort. Absolutely feel free to link this hub to yours. I'll check it out and do the same. Thanks for the pin, share, etc. Have a great day. This is a wonderful hub Bill, and it is great to see first hand photos of Giverny. I recently wrote a hub "Masterpiece" based on Claude Monet and included many of his paintings but it is great to see the real thing. I would like to link this hub to mine if you don't mind. Shared and pinned. Hi Besarien. Thank you. Glad you enjoyed the tour. We lucked out with our trip to Paris. We went in early October and the weather was good, a little cool at times but no smog. I have read that Paris can have a smog problem, which surprised me. 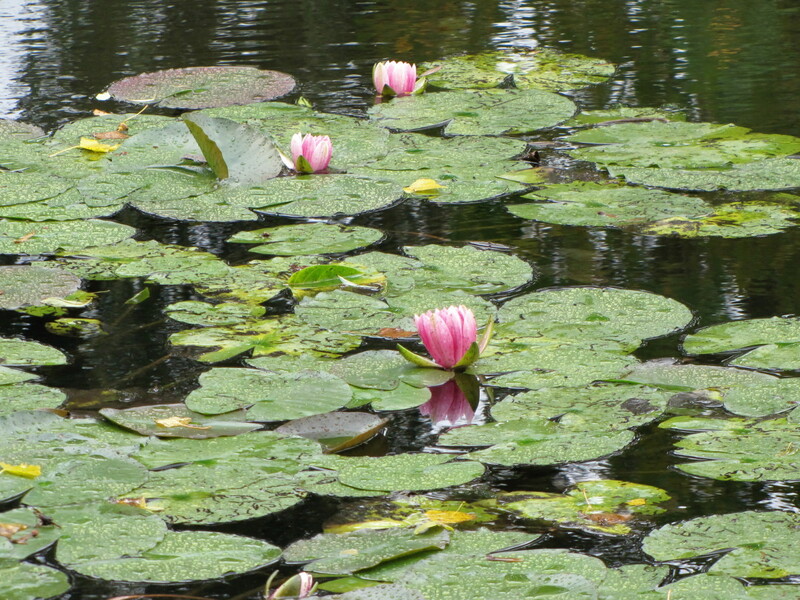 The trip out to Giverny to see Monet's Home and Gardens made for a great day. Thanks so much for stopping by, have a great day. What a beautiful hub! I especially enjoyed your photographs of the Water Garden. The only time I was in Paris, the whole city was buried in smog. Standing directly in front of the Eiffel Tower, I could not see it. Your trip to France was much prettier! Hi Sally. Thank you. What Monet created here in his gardens is truly special. It's easy to see where his inspiration came from. Keep this one on your wish list, it's definitely worth the effort to get there. Thanks so much for stopping by and have a nice weekend. Hi Mary. Thank you. It does have a nice ring to it :) This was certainly one of the highlights of our trip, and we almost didn't go. So glad we did. Thank you for the share, pin, etc. Have a nice weekend. Wonder how I missed this one! I have been to a few great gardens in France but this one which is still on my wish list. I watched the Monty Don program on TV about this one, loved it then and still do. Thanks for sharing. You've done it again Bill. A great travel piece in your smooth, interesting style. I want to hop on a plane but I have to renew my passport. "De Giulio's Travelogue" great title for your travel book! I've voted all but funny, pinned, and shared. Hi Celebrates. It really was the trip of a lifetime. And we topped it all off with a visit to Monet's Home and Gardens. They were simply stunning. 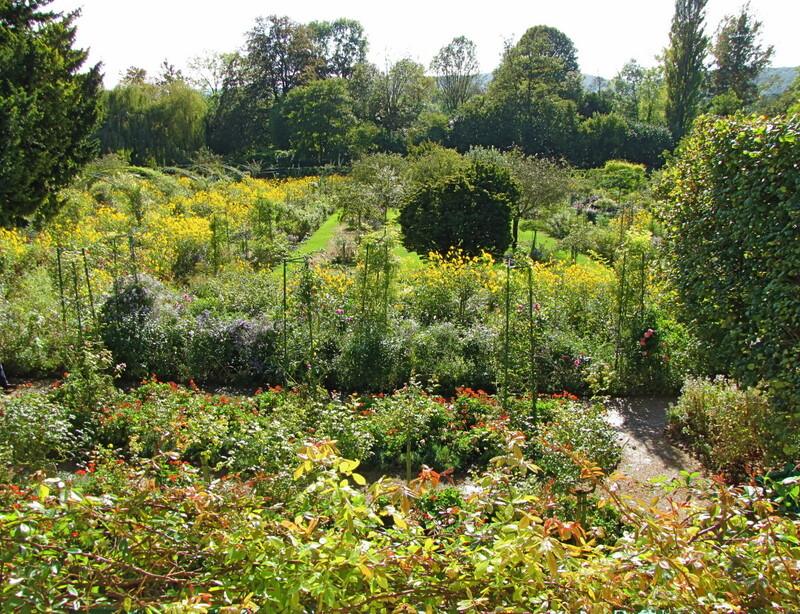 After seeing the Gardens it's easy to see where Monet got his inspiration for his masterpieces. This sounds like it would be the trip of a lifetime, to visit Monet's home. 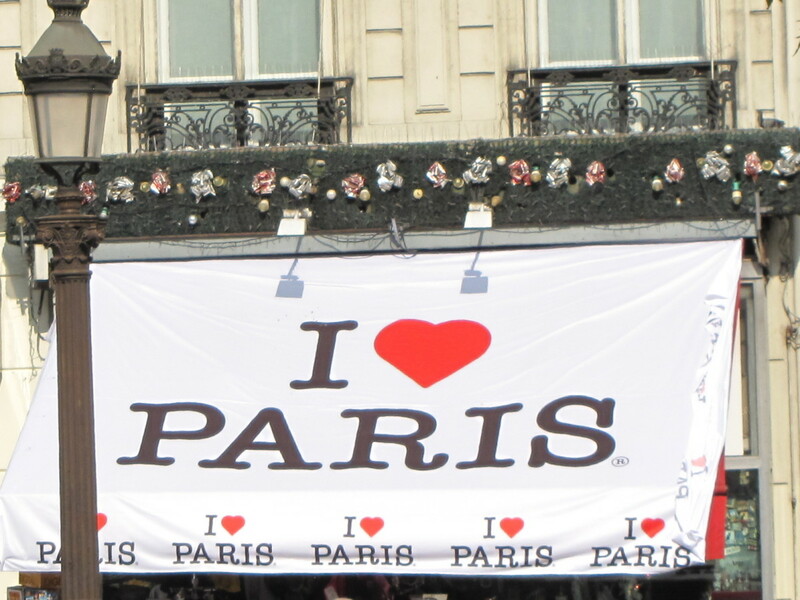 Being in France, visiting Paris, all that would be so exciting. The photographs are excellent and this article is about as close as I will ever come to actually going there. Thank you for that. Thank you. Glad you enjoyed the visit to Monet's Home and Gardens. Hope you get there soon. Wow great photos, I hope to visit these parks and gardens one day! Hi Carter. I think you would love Monet's home and gardens, they are beautiful. We almost didn't make the trip to Giverny but thankfully decided to go and it wound up being one of the many highlights of our trip. Hope all is well there in Australia. Hi again Blackspaniel1. Thank you, we really enjoyed our trip out to Giverny to see Monet's home and gardens. Thanks for stopping by and commenting. A wonderful hub full of beautiful photographs. well done. Thank you Flourish. There definitely is an untamed nature to the gardens but certainly beautiful. The water garden really was exceptional and the reflections on the water were just amazing. I remember your hub on your visit here and it certainly helped to inspire our visit. We also spent a few days in the Loire Valley so you may be familiar with a few of my future hubs also. Thanks so much for the vote, pin, etc.. Have a great weekend. This was one of my favorite places to visit -- much wilder and unkempt looking than I expected but nevertheless gorgeous. So glad you wrote about it. I especially enjoyed the water gardens. Voted up and more, and pinning. Hi georgescifo. Thank you. We had a wonderful time visiting the home and gardens of Monet. The gardens are amazing and full of color. Glad you enjoyed the tour. Have a great day. 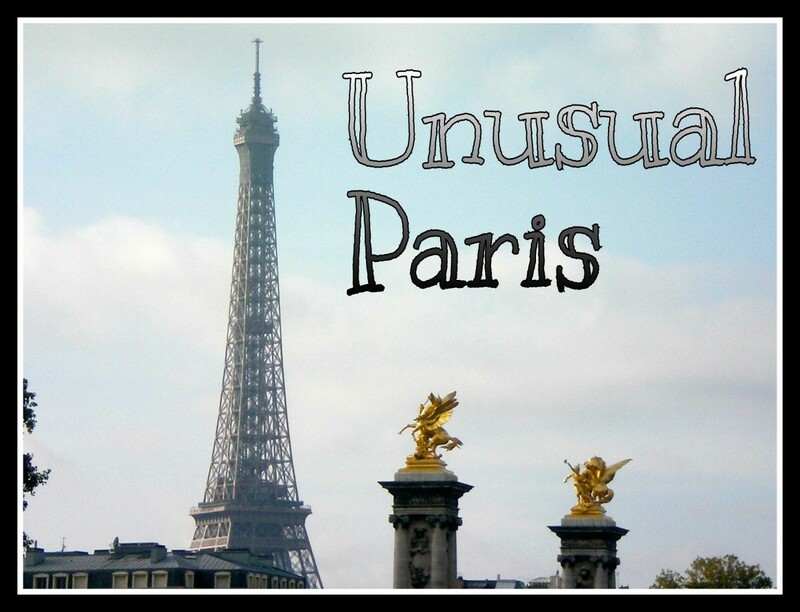 really awesome hub and pictures on some superb travel attractions in Paris. The pictures are lively enough to give a complete picture of its beauty. Hi Linda. Thank you. Certainly a beautiful place and worth the effort. It's actually a very easy trip from Paris and Giverny itself is very charming and authentic. The gardens really were impressive. Thanks so much for the share, have a great day. This is a beautiful and very interesting hub, Bill. 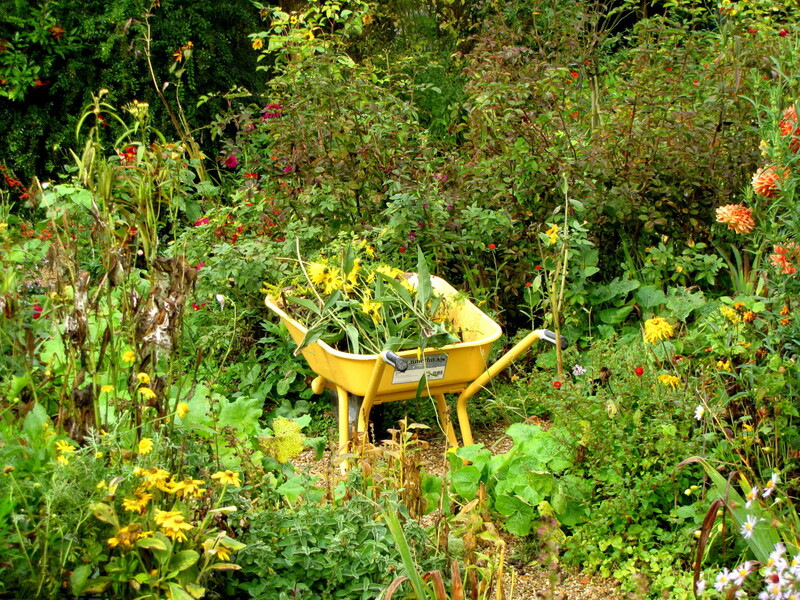 Monet's home and gardens sound like wonderful places to explore. I thoroughly enjoyed the virtual tour that you offered. I'll share this hub. Hi Bill. Thank you. I really enjoyed writing this hub. We had a great day visiting Monet's house and gardens. Hopefully this will all lead somewhere, someday. I really appreciate the encouragement. Have a great Sunday. A travelogue with art lessons and some history. Everything a traveler could ask for. Well done, Bill. I swear, it you don't end up with your own travel column or a series of travel books, I will personally come out east and force you to get serious about this. :) Have a great Sunday my friend.